-Don't feel embarrassed to be cheap or frugal. Being frugal is not an indicator of your personal wealth. Having worked many years in the service industry, I can tell you that someone with lots of money does not tip better than someone with less. It's your money, you've worked hard to earn it, what you get for those dollars should reflect the effort you put in to earn your salary. -Drink water instead of fountain drinks. This will save you about $1.50 per member of your family and it's healthier. Fast food places package the drink with the meal to make it easier to order but I have found it to be a better value to get the burger and fries a la carte. -Look at the prices on the menu before you sit down at the restaurant. You might get to your table and realize the restaurant is more expensive than you thought and you might feel uncomfortable walking out. -Look at the prices before deciding what you want to eat. Start with the lowest price entree and work your way up. There's always a good deal down there at the bottom of the price range for people who are frugal. -Eat at restaurants that serve you over the counter. Traditionally you do not have to tip at places like this and that will save you 15% on your total bill. -Use a tip calculator. Most cell phones have tip calculators on them in the tool menu. An exact 15% tip is very fair and servers will treat you well if they know that you are consistent in tipping. -Use coupons and look for specials in newspapers and mailers. "Two for one" coupons always discount the lower price, so order two things of comparable value and read the fine print. Most of the time, they require you to order drinks to get the discount or have a maximum amount that they will take off the check. Remember, when using coupons, it's appropriate to tip 15% on the total of the bill before the coupon is applied. The discount is on the food and not the service. -Take your leftovers home and reheat for lunch the next day. This is like getting a free lunch. -Look at your food budget for the week in total. Every time you eat a meal at home, figure out what the cost of the food really is. If you can find ways to save money on groceries, you'll have more money to spend on dining out. -Factor transportation into the cost of the dinner out. 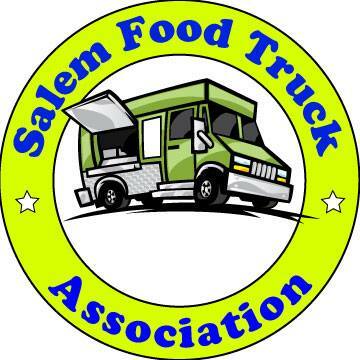 Gas prices are through the roof and you can save money by eating at Salem restaurants instead of driving to Portland. If you are going out in another town, invite friends and carpool, cut the gas bill in half. Take the bus or walk. It's better for the environment, your health and your wallet. I have found that mailers like Janco Saver and others that come in the mail have excellent coupons for local restaurants. Have had to limit myself on the the times I eat out. Sack lunch for work and eat out on the weekends.